The most important post-modern expression is the ability to just start again. 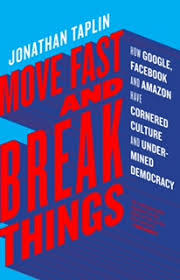 Global headlines this week about the follies of Facebook provided the perfect backdrop for reading Jonathan Taplin’s “Move Fast and Break Things” in which he describes the damage to culture and society caused by Facebook, Google, and Amazon. Taplin spends some time discussing the Ayn Rand-style libertarianism of technology leaders such as Peter Theil, Jeff Bezos, Larry Page, and Mark Zuckerburg; and he provides a useful history of corporate dominance stretching from Hamilton’s victory over Madison and Jefferson through Robert Bork’s free market philosophy and on to the victory of the corporations in the Citizens United case. 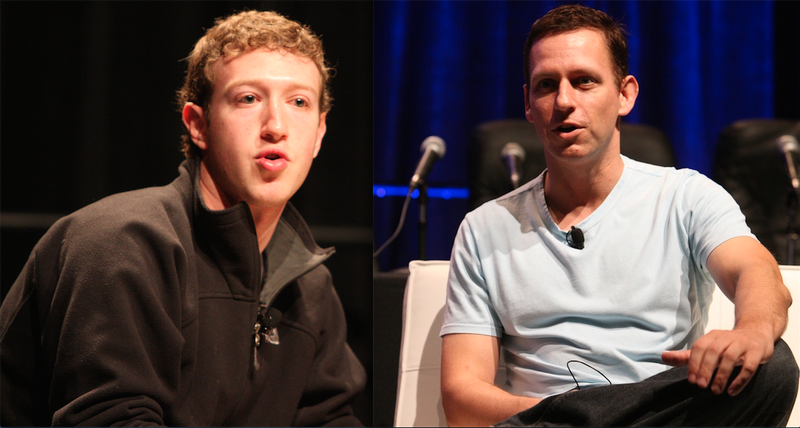 Noting that “the average citizen has voluntarily (though unknowingly) turned over to Google and Facebook far more personal information than the government will ever have,” he declares that the “tightening monopolization of US industry is rendering America an oligarchy” with profound and disturbing consequences for democracy. “Move Fast” is larded with interesting vignettes from the music, film, and computer industries, many of which are written with first-hand experience. Taplin is an excellent writer, moving fluently from one part of the story to the next, never getting bogged down in the details but ensuring we have the necessary information. The book finishes with Taplin’s proposals for how this situation could be reversed. He suggests a local control model such as in Chattanooga which controls broadband as a local utility; or turning telecommunications into a “natural utility” regulated by federal government agencies; or using a co-op model for all content creation. However, sadly, he doesn’t really succeed in convincing us that any of these solutions will happen anytime soon. “Move Fast and Break Things” (2017, Little Brown & Co) is available at the People’s Coop Bookstore on Commercial Drive. This entry was posted on Wednesday, March 21st, 2018 at 1:31 pm and is filed under Other Writings, Technology. You can follow any responses to this entry through the RSS 2.0 feed. You can leave a response, or trackback from your own site. jakking on Back To Work! seniorsconnect on Back To Work!